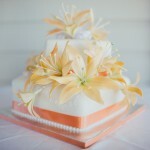 The Sunshine Coast Hinterland is home to a number of exquisite wedding venues. Among them is Weddings at Tiffany’s. 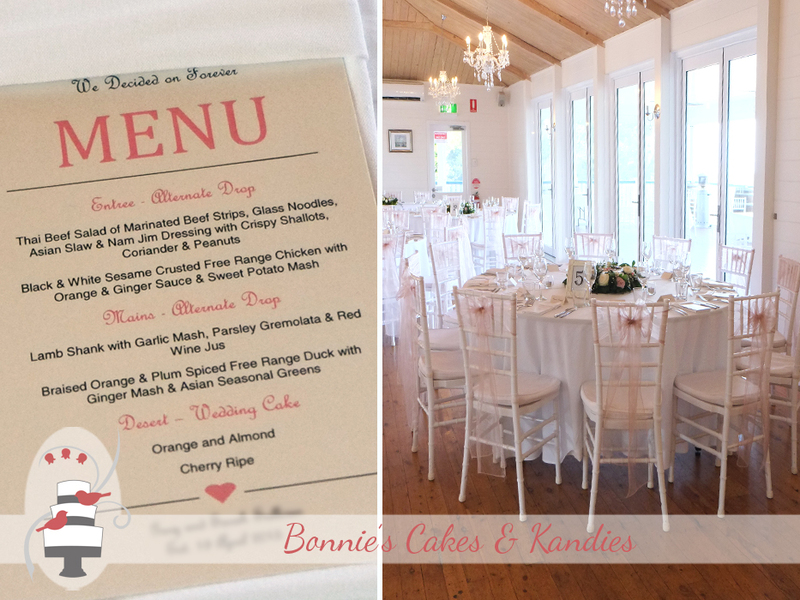 Located in Maleny, this venue has amazing views out over the countryside, and a great reception space to celebrate the start of your marriage, and dance the night away! 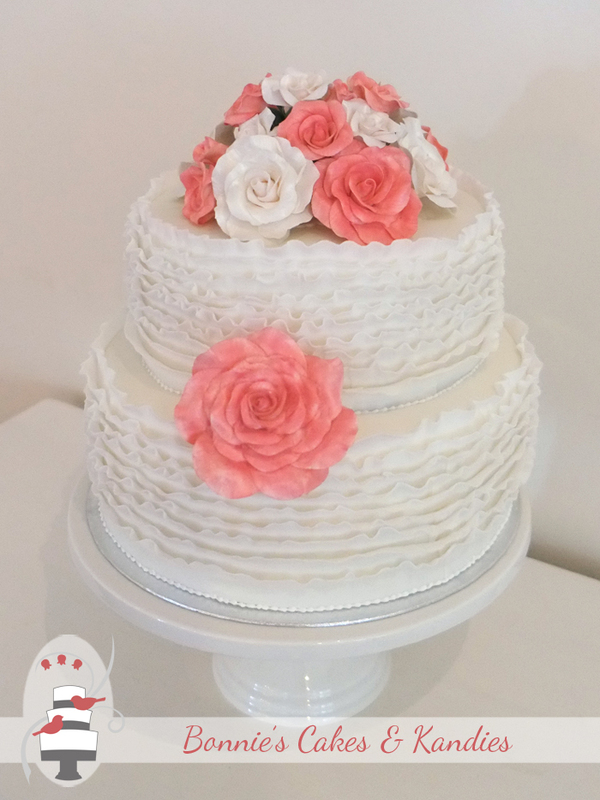 It was my pleasure to make and deliver Sarah & Gary’s wedding cake to Wedding’s at Tiffany’s for their April wedding this year, and I wish them all the very best for their future! 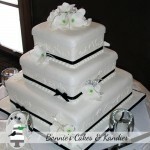 The couple chose a two tier ruffle cake with icing flowers. 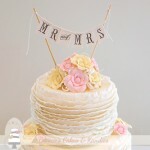 The cake was displayed on top of a ceramic cake stand for added height. Guests enjoyed the choice of two different flavours of wedding cake for dessert: orange and almond cake, and cherry ripe mud cake. 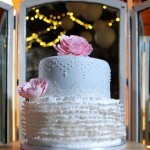 Beautiful Maleny venue, Weddings at Tiffany’s with wedding cake for dessert, of course! 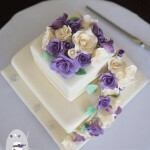 A very big thank you to Sarah & Gary, Sarah’s mum, Fran, and Kelly from Weddings at Tiffany’s!